Accidents may occur at any workplace. Therefore it’s paramount to learn basic first aid. 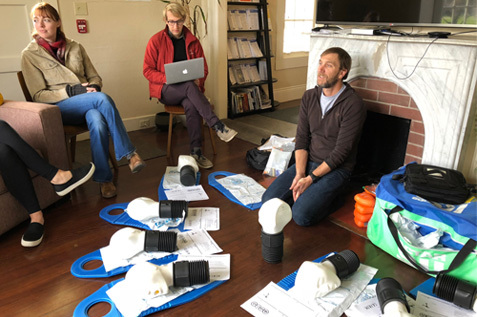 Equipped with the right first aid knowledge, you’ll be able to preserve life, limit the condition from worsening, and promote recovery. While at it, be observant, calm, resourceful, comforting, and cheerful. And above all, you’ll need a well-equipped first aid kit. Ready to learn? Let’s get started! Response: Check the casualty’s response. If unconscious get help immediately, if conscious ask the casualty their name, or ask them to gently squeeze your hand. Airway: Check if the airway is open and clear of objects. If clogged, open mouth and remove the foreign object with your finger, then gently tilt the head backwards. Breathing: Check that the chest is rising and falling by hearing and feeling the breathing. If the casualty is breathing, keep on checking for continued breathing. 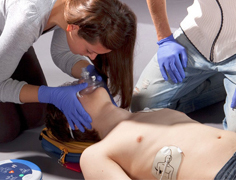 If the casualty is not breathing, turn the person on their back and seek immediate help. Circulation: Check for circulation signs by checking the neck pulse, looking for swallowing or breathing movement and also by observing the face’s skin colour. Now let’s take a closer look at how to manage some of the common injuries in the workplace. Remember this should not substitute first aid training courses offered by an accredited training provider. Sit the person in an upright comfortable position and ask them to breathe slowly and deeply. Give four puffs of the asthma reliever e.g. Ventolin or Asmol. If the person still can’t breathe normally, immediately call for an ambulance. State that someone is having an asthma attack. Keep giving the reliever after every 4 minutes until the ambulance arrives. For severe attacks on adults, you can give 6-8 puffs every 4 minutes. Keep monitoring their breathing, level of response and pulse. In case they lose responsiveness, follow the resuscitation steps as you wait for help. The rapture of tiny blood vessels inside the nose can cause one or both nostrils to bleed. This can be caused by several factors. Read on to find out how to control the bleeding and open the airway. Get the person to sit down, never let him lie down because keeping the nose above the heart reduces bleeding. Get the person to slightly lean forward to ensure blood drains out through the nose. Never ask the person to lean backwards. This will make blood flow into their throat and possibly block the airway. Ask the person to gently pinch the soft part of the nostrils while breathing through the mouth. Let this last for ten minutes, take a small break and then repeat until the bleeding stops. Let the person avoid speaking, swallowing, spitting, sneezing or coughing as this may break the forming blood clots in the nose. Regularly stocked First Aid Kits. Different kinds. Always up to date with the rules and regulations. 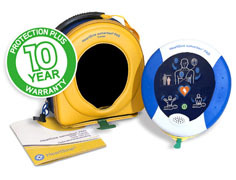 Be prepared to save lives with this portable, easy to use AED Defibrillator in your workplace. Up to date and information packed First Aid Training. Get trained by industry experts. Burns are caused by hot or cold objects. They normally occur on the face, back or arms. Let’s have a look at the different types of burns and how to manage them. It’s also vital to know the three levels of burns. If the person’s clothes are on fire, stop, drop and roll them. Using a piece of wood, remove the casualty away from the danger. Fainting normally occurs when there is insufficient blood flow to the brain thus causing the person to lose responsiveness and often falling to the ground. Common causes of fainting are pain, hunger, exhaustion, emotional stress and standing or sitting for long periods. However, there are proven ways to help prevent fainting. Kneel down next to the casualty and raise their legs and support the casualty’s ankles on your shoulders. This improves blood flow to the brain. Keep watching the casualty’s face for signs of recovery. Once conscious, reassure and help him to sit up slowly. If the person takes longer to regain consciousness, open the airway, check their breathe and treat for unresponsiveness. While at the workplace, a foreign object can accidentally enter and get stuck in the eyes, nose, ears, throat or skin. Often, it’s not alarming but if swallowed or inhaled they can obstruct proper bowel movement or cause choking. Be it sand particles or dust, irrigate with clean water. Also, advise the person to stop rubbing his eyes. If it gets worse send the casualty to the hospital for immediate medical attention. Don’t attempt to remove the foreign bodies out. 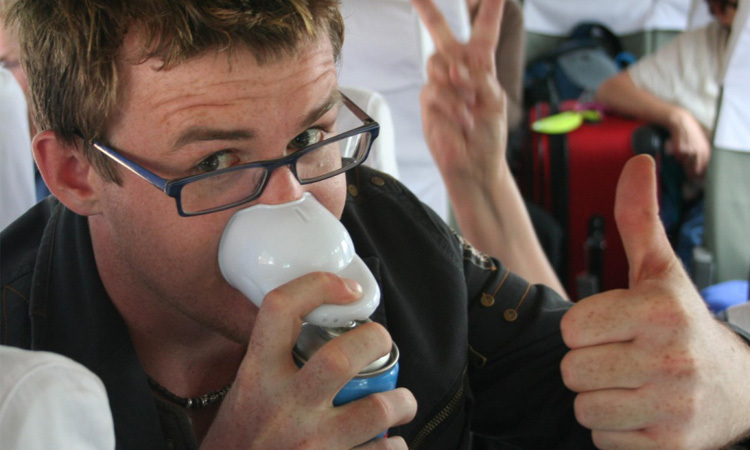 Advise the casualty to breathe via the mouth while you take note of any breathing difficulty. Then immediately send the injured person to the hospital. Don’t attempt to remove the foreign bodies; it may cause damage to the eardrum or ear canal. If the object is an insect, flood the ear with baby oil to float it out. Then, immediately send the injured person to the hospital. These are either undigested or sharp objects in food such as bones. This causes swelling and obstruction of the airway obstruction. Don’t give the person any drink or food. Reassure the casualty and immediately send him/her to the hospital. Also, refer to Choking. Your chief aim as a first aider is to preserve life. Always assess the situation to help you prepare psychologically, take care of your own safety, the bystanders’ and the casualty. Remember to seek professional help when and as needed. Along with the helpful first aid skills you’ve learnt above, we’ve compiled an elaborate list with more common workplace injuries and emergencies as well as how to attend to them. Check it out and learn some more. You never know when your first aid skills might come in handy and give someone a fighting chance. 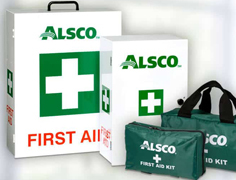 For a safer workplace, partner with Alsco and take advantage of our fully managed, cost-effective First Aid Kit rental services.